CELLAR NOTES Time spent in bourbon barrels gave an already complex beer even more complexity and flavor intensity, layering additional caramel-like and vanilla flavors on top of those already present. 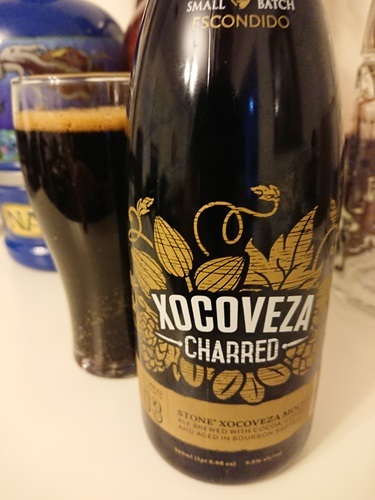 Aromas of rich coffee and dark chocolate are followed by nutmeg and cinnamon; a lush, heavy mouthfeel laden with charred oak and toffee engulfs the palate on the first sip. Lingering pasilla pepper and soft oak flavors persist through an exceptionally long finish in this intensely rich and satisfying beer.